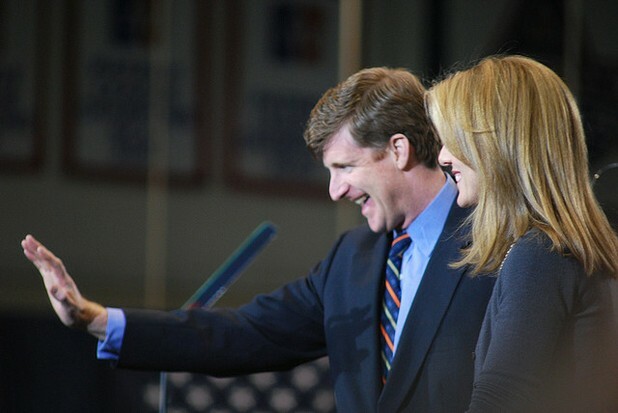 With more than a half dozen rehab stints behind him, former Rhode Island Congressman Patrick Kennedy is opening up about a life of addiction on Capitol Hill to help de-stigmatize brain diseases and to raise money for brain disease research. Kennedy, who is also bi-polar, says that in addition to doing whatever it takes to maintain his own recovery, his life’s work from this day forth will be to support the de-stigmatization of brain diseases and to raise funds for research towards effective treatments. To do so, he will launch his ‘One Mind’ foundation this weekend during a three day event in Boston. The foundation will fund and support research into brain diseases and work from a core philosophy that mind and body diseases are likely more connected than currently understood and that a breakthrough in understanding could lead to dramatic improvements in treatments for a wide array of diseases. Kennedy hopes to tap into the legacy of his president uncle to inspire great acts for research as JFK once inspired great acts for space research. Fifty years ago, JFK made his famous moonshot speech, in which he committed the nation’s resources to the space race. In his event on Sunday at Kennedy National Library on the 50th anniversary of that speech - Patrick Kennedy hopes to inspire donors for a similar commitment of resources towards a ‘moonshot’ type effort for a breakthrough in understanding and treatments for brain diseases.